Let's be honest here, life can be hectic, crazy even. We often go through it in a daze, following blindly, never believing we can make a difference. We can lead a different life. We just need to change our thinking. 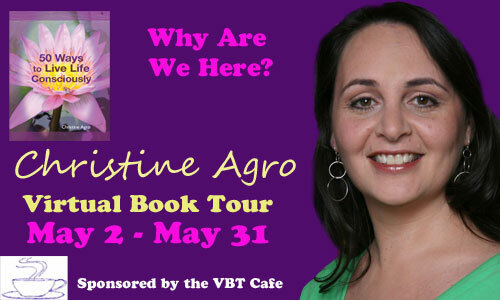 Christine Agro has written a book called 50 Ways to live life consciously. Please read the guest post by Christine. Are You on The Unconscious Conveyor Belt of Life? I dropped my son off at school this morning and as I was driving home I found myself thinking about consciousness. This isn’t unusual; I think about it all the time, but today, I was really focused on how unconscious we can be. We don’t think we are unconscious, but it shows up in so many places and ways in our lives. It shows up in what we think we know, or our response to situations. It shows up in what we believe to be true, or what we think we cannot do, or have or be. We walk through our lives living in a dream state that has been crafted by the messages of others, the beliefs of our religion, our culture, our family, the media, governments and it is in the dream state that we are asleep, living an unconscious life. We start to wake up when we question the information that informs our day-to-day life. It doesn’t have to be ‘wrong’ information, but it is simply the fact of thinking about it, of considering where the information comes from and choosing if it is true for you that wakes us up and moves us into conscious living. I think often about recent movies that have shed light on this notion of our unconsciousness – The Matrix and Vanilla Sky come to mind. These movies linked our unconsciousness to machinery, but in our case, there is no machine, there is only our waking dream state. Much of what is happening on the planet today is because of our unconsciousness. We have not stopped to think about resources, or the food we eat or the way we interact with each other. We have simply moved along on the unconscious conveyor belt of life. The tricky thing about living unconsciously is that we really don’t know that we are, until we wake-up. One of my students realized she lived unconsciously and it started with question the way in which she folded her towels. She routinely folded her towels the same way every time without thinking about it. When she stopped to question this, she realized she folded them this way because that’s how her mother had her fold the towels when she was little. Her mother folded them this way because that’s the only way they would fit in the linen closet. My student consciously decided to fold them a different a way, she also went a step further and broke out of the habit of only having white towels. It may seem like a small thing, but this moment broke her out of her waking dream state. Our unconsciousness doesn’t have to be big, our growth comes in simply waking up to recognize that we are. Christine has been featured in The New York Times, and dubbed 'a gift to moms' by Real Savvy Moms an award winning website for the former PBS syndicated TV show. 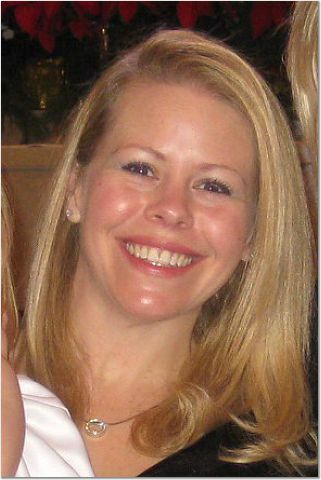 She has been interviewed on radio shows around the world, quoted in health and consumer magazines and e-zines nationwide. She has written for Gaiam Life, and contributed to Messages From Spirit by Colette Baron-Reid (Hay House 2008). 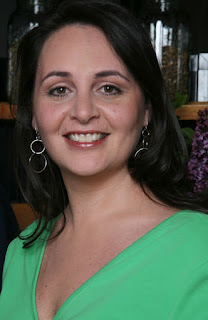 Christine is also the creator of the Conscious Living Wisdom Cards and the founder and leader of the membership site The Conscious Living Guide (www.theconsciouslivingguide.com). Through The Conscious Living Guide Christine provides a place for like-minded people to connect and offers on-going support to those wishing to live life consciously. Members can participate in weekly meditations, mini-audio courses and a monthly on-line Q&A session. 1. I grew up in a tiny town in New Mexico. When I went to college and I told people our mascot was the Cavemen, it was the first time I realized we got our name from the famous national park! 2. I started writing for my high school newspaper. I’m still not really certain why I didn’t go into journalism. 3. I was valedictorian of my high school class. 4. I love college football, but I don’t particularly enjoy professional sports. 5. My favorite classes in college were history courses. I loved writing essays on historical topics. 6. Once I became a lawyer, my writing style changed but improved. One of the main reasons is that I spent two years as a law clerk in the US Court of Federal Claims. 7. My favorite thing to do as an attorney is draft legal briefs. I enjoy the research. I’ve even taught courses on legal writing to law students. 8. If I could have one talent, I would be able to paint. However, I cannot even draw a straight line. The only non-fiction books I read are on art forgery. 9. I’ve published two legal articles on education and the law. One of my favorite past times is going to cocktail making class. Hillary Peak is a recovering idealist. She became a lawyer to change the world and is still somewhat shocked that didn't occur. Now, her goal is to retire from practicing law and write novels that people love. She is currently a practicing attorney in the District of Columbia. She lives with her family in Alexandria, VA.
As a diabetic I have been told to watch what I eat. This is easier said than done when you have spent a lifetime being weak-willed, unable to resist temptations. Diet food can be bland and boring when you are used to experiencing taste sensations in your mouth. As a diabetic you are supposed to have regular snacks, frequent small meals rather than one massive meal a day at dinner just before going to sleep. These are all things I heard but never absorbed. Obviously, if you look at me now. I wish I had listened, absorbed and synthesized. Stan Starsky has written a great recipe book filled with healthy snack options called Peace love and Snacks. Here is what he has to say. years and I took on more and more locations. The vending business is good exercise, it is actually a lot like P90x except you do it all over town and all the movements are very different, but you do build up a pretty good appetite.Now, the snack irony of the situation was that I really did not like the junk that I was pushing. I was surrounded by thousands of calories and yet I was still hungry. So, I started to make my own healthy snacks. I began making my own granola bars and over time I got pretty good at making really delicious mouth water granola. different foods and I called these creations “food combinations”. Other people called them recipes. Well, eventually I got out of the vending business. I took different day jobs like becoming an account representative for a large software company selling enterprise software to mid-size businesses but nights and weekends were often dedicated to making healthy snack food. My co-workers became my test subjects and along the way I had a lot of flops but I kept a list of all the good recipes (food combinations – not giving up on this term just yet). Have you ever been obsessed with something but don’t know why?…Well that is how I was when it came to inventing snack food recipes. Maybe I was trying to make up for my dark snack past or just trying to rebalance my snack Karma. Whatever the reason, I missed countless episodes of TV shows and I worked for hours in the kitchen. 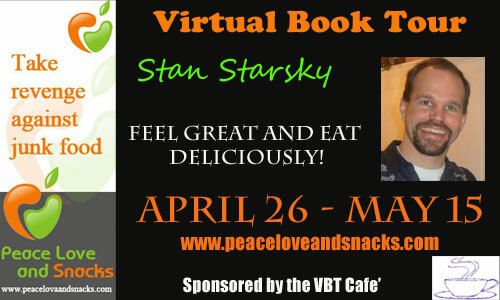 I think this hard work has paid off and I put together what I believe is the best snack recipe book around and you may have guessed the title “Peace Love and Snacks”. Would you like your family to eat more wholesome foods and get more vitamins, micro-nutrients, fiber and minerals while avoiding processed sugar, gluten without taking supplements? Wouldn’t it be nice to find an exciting and interesting way to eat more healthy? If you answered yes to the above then my promise to you is that eating healthy snacks can be interesting, fun and easy. I present to you the “Peace Love and Snacks” healthy snack cookbook. And this not just about sneaking in a few vegetables into a cookie recipe – which actually is a great strategy. This goes a little deeper than that. All of the recipes are are gluten free and contain no processed sugar and no white flour. Sometimes honey is used as a sweetener, however, there is also a granola process that utilizes no honey at all – only fruit, oats and nuts and it has tested very well. Imagine feeling great about what you have made, using wholesome ingredients. Time to take revenge against junk food and enjoy delicious easy to make snack food recipes. You will find some truly unique and new recipes that your family will enjoy. There is a category of teacher called Tourist Teachers. These are teachers who only take up a job in an international school because they want to travel that country and have a base to come back to. They tend to only stay a year or two, and then they move on to their next adventure. Then you get another group of international teachers who enjoy soaking up the culture of different peoples and even though they travel and explore, they enjoy being immersed in the culture so they stay longer. Ami Blackwelder is a successful author who started out as a Tourist Teacher and then became so involved and immersed in Thai culture she stayed for a good many years. “Ami Blackwelder is a Romantic Suspense author with a Unique Voice and Unpredictable Plots.” Ami is the author of The Shifters of 2040 and She speaks to angels. Her books are available on Amazon. How did I get into this? I decided to teach and travel, two birds with one stone. Earn money in a country I wanted to visit. 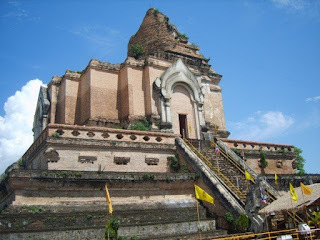 I began my travels in the orient in Korea, but this post is about Thailand...so after Korea I went to Thailand. I ended up staying for 6 1/2 years! I considered it my second home now and will return in a year or so! I hope! Swadee Ca! That is ‘hello’ in Thai. Women say ca and men say cup. You say that after every sentence, it is polite. Unless you don’t want to be polite! Bangkok is a city of noise, pollution, buses, motorbikes, taxis -all brushing past you on the road as you wander the sidewalks. Many markets on the streets filled with foods, house items, and sometimes illegal items like paperwork for visas, fake degrees and such.The people for the most part are very friendly and a joy to be around, but watch your wallet! There is also a very cool sky train which is a main form of transit, because it is cheap and will take you from one side of the city to the other quickly. If you’ve been to NY in America, Bangkok is a bit like that in feeling. Rushing, work-oriented people. You might try fried banana or even fried bugs on the streets! But I spent most of my time in Jomtien/Pattaya area. In Jomtien the main form of transport is the baht bus and motorcycle. Tourists and Thais alike fill up the baht buses which follow a predetermined path around the city. For just a little change you can go around the city in no time. This area is known for the gatoys which are men that dress like women. The city is famous for it. There is even a show people pay to see called the Alcazar where all the women are actually men. Some of them are very women like! This is also a beach area were life is slowed down. Scuba diving, snorkeling, canoeing, kayaking, and other water sports are prevalent. You can take a boat to small islands were you can take elephant rides, watch dancers who blow fire, and eat seafood all day long! They even offer massages on the beach. Can someone say heaven? I even took a motorcycle ride along the hills and coast of the islands. How picturesque and exhilarating! You know you are alive then! 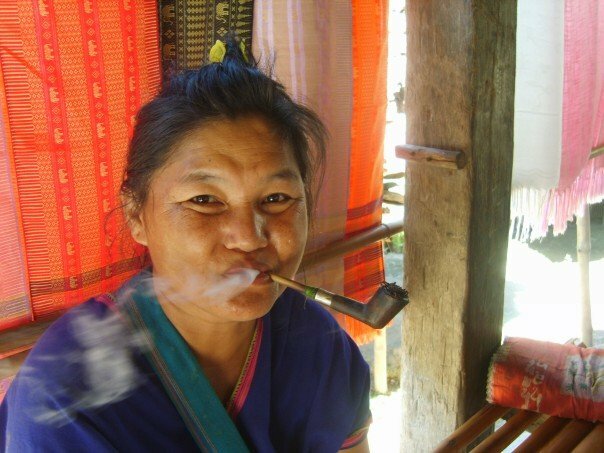 My friend and I came up with a top 10 reasons you know your in Thailand. 4) When you find yourself saying Swadee Ca and Cap Cun Ca in everyday conversation. Where I blog about books, travels and have special guests regularly! 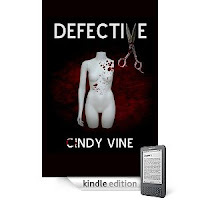 "Defective" is the sort of story that sneaks up on you like those elusive shadows that give you shivers in the night. There's something about 17 year old Kara Butler. Though it would be easy to feel sorry for her, it's as easy to cheer her on. With an abusive father and a mother who mostly ignores her but will help in a crunch, Kara leaves home for the big city of Capetown. Innocent in the ways of the world, Kara nonetheless gets an apartment and finds a job. It all seems quite heroic. There is something else about Kara, something not quite right, something that her new-found freedom has set loose in her world. As her story seamlessly moves into darker and darker places, Kara's world slowly unravels. Drawn into Kara's journey of discovery are a promiscuous medical doctor, the doctor's emotionally abused wife, a boy who believes he is a secret agent, an Abbott and Costello team of detectives, and a cast of other quirky characters. The effect of this story is both surreal and chilling. "Defective" is not a thriller in the truest sense. Neither is it a mystery or a police procedural. The genre is hard to pin down, shifting as it does while the story progresses. In some ways, the television series 'Dexter' comes to mind, in other ways Hitchcock's Psycho. 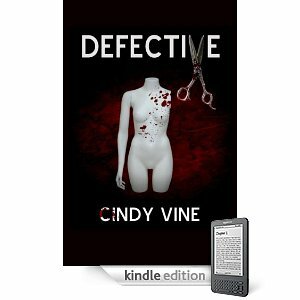 It is tempting to call "Defective" a psychological-thriller. It is certainly psychological, though perhaps more in the way an update of the old-fashioned Gothic novel might be psychological. Quirky and intriguing, this story is clean and tightly written, drawing the reader inexorably to its inevitable conclusion without ever revealing that climax until it arrives. For readers who prefer their books to be intelligent, thought-provoking, and challenging, "Defective" will be an ideal choice. It's easy to blame everything on the weather. Especially in rainy season when there're torrential downpours that knock over trees which fall on power lines and cut out the power. Heavy rain on a tin roof is deafening. It's hard to hear yourself think. But it doesn't rain all the time, and most of the rain comes during the night when you are trying to sleep. So it would be unfair to say it's because of the rain and blame it on the weather. Maybe it's age that's making my brain foggy. Or maybe it's the high moisture levels in the air from the rain that's making some brain cells go mouldy. You see, it really is the weather! I knew it, it couldn't be me! Actually, I think it is because as a part-time writer you have to juggle so many things that it's easy to allow yourself to be distracted. You have a demanding full-time job, a home to run, children to manage, strange diseases to cope with, and on top of all that you have to keep on writing and still find time to do your own marketing. Seriously, there are only so many hours in the day. Maybe I should blame it on my Kindle. Since I got that damn thing I can't stop reading. Books are so easily available and so cheap. Goodness, some are even free! When I have the time to write, I'm reading. The Kindle should take all the blame. But I guess sending the wrong books to the winners of my Goodreads Giveaway was all me. I had run two Giveaways simultaneously. One for Defective the book I published last year to give it a bit of a push; and the other for C U @ 8 the book I have just released. Stupid me sent all winners C U @ 8! I felt like such a fool. I have three books waiting to be worked on. Two still in the research stage, but one ready to be written. But for some reason the spikes on my running shoes seemed to have got stuck in the starting blocks, and instead of racing to the finish line I am struggling to get started. Maybe I need to just step out of the shoes and run barefoot! Many of us stumble into the world of self-publishing with not much of an idea of what we are getting ourselves into. We have to figure out formatting, websites, blogging and marketing, all of which makes the writing process a piece of cake in comparison. Katie Salidas, author of the very handy Go Publish Yourself, shares the 5 common mistakes to avoid when self-publishing. Endowed with special powers and abilities, beyond those of mortal women, I can get the munchkin off to gymnastics, cheerleading, Girl Scouts, and swim lessons. I can put hot food on the table for dinner while assisting with homework, baths, and bedtime… And, I still find time to keep the hubby happy (nudge nudge wink wink). I can do all of this and still have time to write my novels. Sorry… I can’t even write that with a straight face. Here’s the reality. I’m a sleep-deprived, overworked, mom who just doesn’t know the meaning of the word balance. I try so hard to do it all, (be super mom, wife, & author) and at the end of the day I fall face forward into the couch. Because being supermom (or trying to) means a lot of time devoted to family, writing is often done when said family is peacefully snoozing away. I can’t tell you how many times I’ve fallen asleep with my laptop, on the couch. It just happens. Then, bright and early at 7am either my hubby (on his way to work) or my daughter (getting ready for school) wakes me up. Writing is my passion. It’s a part of me. More than just a hobby, it’s a compulsion. I have to do it. If I don’t do at least one writing related thing each day I get cranky. Hopefully, my passion can be your entertainment!